That Tapas food trip around Barcelona was just unforgettable. 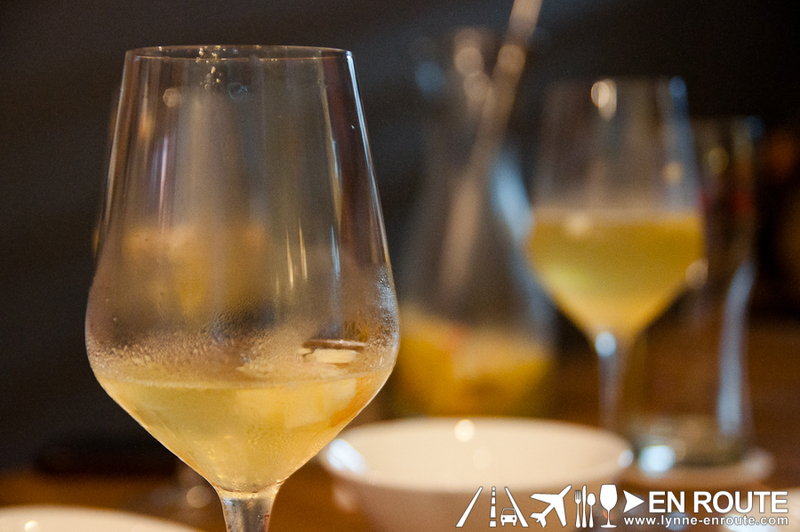 Various tapas, various wines, and various dining experiences that makes for one truly memorable trip. 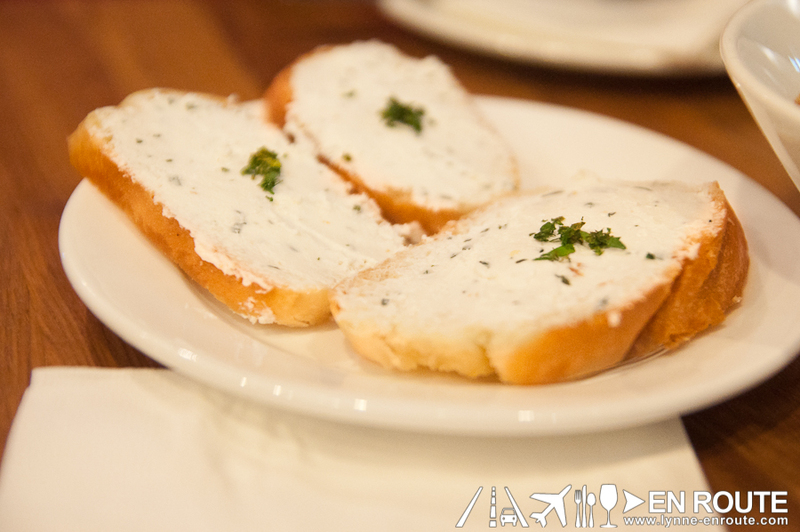 What makes it worth remembering also is that no matter how elegant the place, a tapas eating experience feels very casual at its most basic form, and it is a great medium for togetherness that bonds friendships even more. 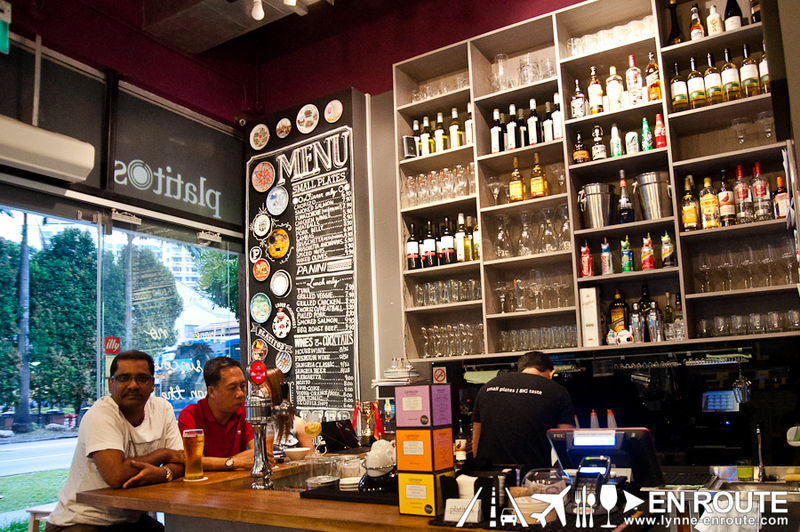 So when a few friends in Singapore suggested a tapas bar that is run by fellow Filipinos, there was no hesitation. That was where our little reunion away from home should be. And so it was: Platitos Tapas Bar. Platitos (literally “little plate” in Filipino) is an open-air tapas bar, quaint in its character and homey in feel. The small, intimate spaces give this opportunity for you to enter as a stranger, and leave the night getting to know new friends. The warm, relaxing vibe is complemented by the effervescent personalities of the group of Filipinos that own the place. Taking shifts in the restaurant and mixing it with their other jobs, this is more than just a chore for them. It is a passion (and FUN!). Beers on tap are a refreshing, fruity Hoegaarden, or an honest-to-goodness San Miguel Beer. Filipinos that frequent this place can always get a taste of home with a pouring of this brew. And if you want it fruitier, their trademark Beer Sangria will be a winner. Great for sharing with friends. You will find the night pass by really fast with a few of these on the table. As for the tapas? There are a good number. 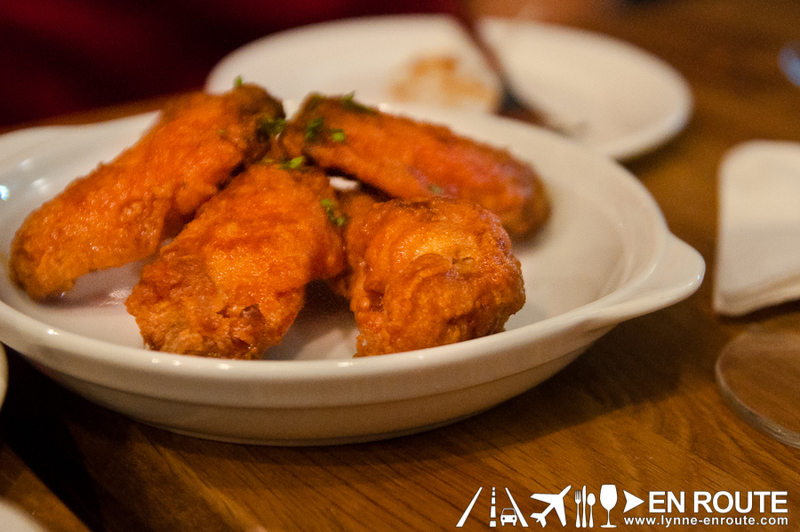 Chicken wings, meat balls, baguettes with cream cheese… just check the blackboard on what is available for the day. The meatballs are delicious with a savory kick thanks to the tomato sauce mix it is drowned in. 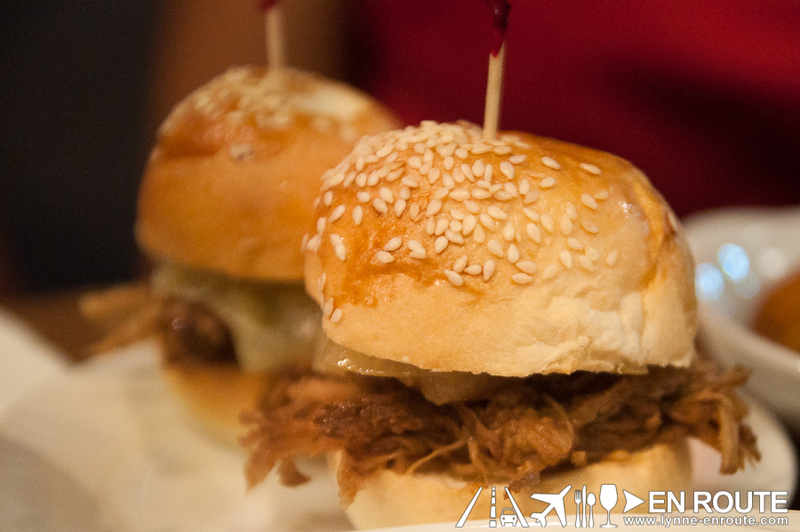 But this night, everyone was raving about those Pulled Pork Adobo Sliders. It is a testament to the growing popularity of what is being considered the Philippine”s national dish. The prices are competitive, too! Ranging from SGD 5.90 to around 8.90, your festive mood won’t be ruined, and you can just comfortably settle down and enjoy the moment. You’ll never go wrong with passing by, and you’ll never have a problem getting here, either (I mean, it’s Singapore. It’s ridiculously efficient and safe). 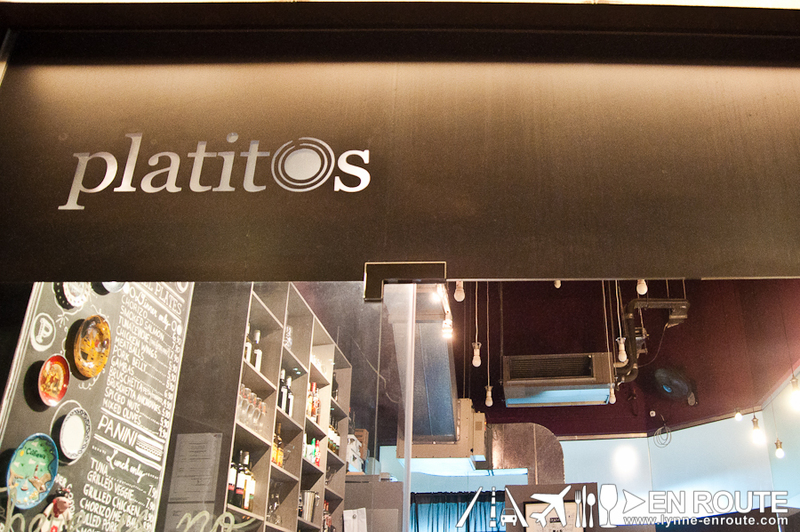 Call it a day, head to Platitos, and find that Filipino passion for good tapas and good times slowly giving Singapore soulful vibes.